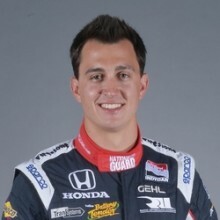 Third-generation racer Graham Rahal, a winner in both the Verizon IndyCar Series and the Rolex 24 At Daytona, is the latest Online Driving Instructor. Questions can be posted all this week. Check back after Monday, April 28 for his answers. Aspiring race drivers and serious fans alike will be hard-pressed to come up with a racing topic the 25-year-old Ohioan can’t tackle from personal experience. Eleven years ago, at age 14, Rahal – grandson of sports car racer Mike Rahal and son of three-time IndyCar Series champion and 1986 Indianapolis 500 winner Bobby Rahal – jumped from shifter karts into the fledgling Formula BMW series. In 2005, he accelerated onto what is now the Mazda Road to Indy, rocketing through the ranks before making his IndyCar debut while still a high school student in 2007. A little over one year later, in April 2008, age 19 plus 93 days, Rahal won the Honda Grand Prix of St. Petersburg. The youngest ever IndyCar Series race winner suddenly was an established star. Rahal is now regarded as one of America’s most seasoned and knowledgeable racers after achieving success also in sports cars, winning the 2011 Rolex 24 At Daytona. 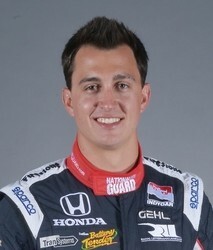 This year he will focus on driving the #15 National Guard Dallara/Honda/Firestone for Rahal Letterman Lanigan Racing. Graham Rahal answers your questions! When buying a first helmet is it best to get one slightly small or slightly large? My head measurement is between two size categories according to the helmet manufacturer’s size chart–right at 22 inches, which puts me between a small and a medium. I will be ordering the helmet online and I am not able to try on the helmet first. Thanks. I would say you never want one too big. However, if you are still young and growing, go with the medium so you don’t have the cost two times over. Helmets and their fit is obviously key to safety, but if you are growing then there is no need to buy the small because you will fit the medium in no time. They can also add padding if you really need it. Just contact the helmet manufacturer. When you’re a pro driver, what are your weekdays like? It’s not all as exciting as it looks on TV – or is it? Thanks, Graham and good luck! Life is always packed. A couple of weeks ago, for instance [May 5-11] I had a lot of media deals; a TV program we are shooting from my home; a National Guard Base Camp visit; and then the [Indy GP]. So, yes, the days are always full! Where do you start in learning a new track? Some guys say they like to walk it first; others watch YouTube or Xbox; what’s your approach? Hey, Dave, I do use YouTube and track walks a lot. Almost any sort of simulator can show you the turns, but a lot of times it’s all the little details that make the biggest difference. YouTube is good because you can see how other drivers are approaching the circuit compared to you! I play hockey and I love it. You like it too, right? Have you ever played? I feel like it’s a great sport for working on my reflexes, cardio, focus and toughness until I can afford to get into racing (which is what I really want to do). What do you think? I love hockey! It’s a great sport and good luck to your Kings in the playoffs! Hockey has a lot to offer. What we do is all about reactions so, yes, I believe it’s a great sport to play. Anytime you can sharpen your hand-eye coordination, the better you will be in a race car! Before the start, who works out the race strategy on your team? Do you get much of a say? Yes I do, actually! We all sit down — my dad, my engineers, Oriol [Servia], our entire team – -and discuss it. I do have a say, for sure. In our sport, strategy isn’t only when you stop; it’s tire strategy, fuel strategy, etc. There is a lot going on, but as a team we always have to agree and be on the same page. As a driver, you trust heavily in those on the pit stand making the calls and telling you what you have to get, fuel-savings-wise and things. I feel lucky because my dad is, and always has been, one of the best! How difficult do you find it to adapt to a new race engineer? What do you suggest to speed up the communication process? It’s always difficult, Jason. A race engineer and his driver must always be on the same page. An engineer should be able to look into his driver’s eyes and know what he’s thinking before he says a word. Any sort of relationship-building time like dinners together, team meetings, phone calls – all those things – so you both get on the same page is always a big help. Relationships make this world go around, and Bill [Pappas] and I work very hard on this all the time. Hope it’s OK to ask another question! In one of your videos on this website you talk about your coach, Michael Zimicki, and how valuable he’s been to your career. Do most drivers now have coaches? How do you find a good one? Mike is a great coach. When I say “coach,” it really means more than that. What he is very good at is taking videos, dissecting driver lines, car behaviors, things like this. He is really spectacular at all that. Mike has been working with my dad and our teams since the early 2000s, so he has been part of our family a while. Dad was told about him and immediately took action. There are plenty of good, qualified, coaches out there, but not many with Mike’s abilities. Hi Graham, thanks for taking the time out of your hectic schedule to answer some questions for us. I race shifter karts and also do some simulator racing to practice my focus points on turn-in + apex + exit. I notice at times that I tend to “tighten up” or stop breathing. Not sure if you have experienced that before. I notice that I lose tenths of a second when I am in that state. Is there a way to get back to a state of relaxed focus? I have read Jacques Dallaire’s book and I still struggle at times with the focus. Thanks for your time! Hi Greg, of course we all experience that. I have noticed it on the simulator before, as well as in the car. Honestly, I think it’s all about time in the car. The more you drive it, the more comfortable you become. However, when you are pushing to 10/10ths, you will always have some sort of heightened heart rate or slower breathing. This is normal. The most important thing is to make sure you’re in good enough physical shape to sustain this and to keep your mind clear so you aren’t making mistakes, getting sloppy, when your heart rate ramps up. It will always happen, and it has always happened to all of us. Hey, Graham, thanks for answering our questions. All the other Ask A Pro Q&A Sessions with IndyCar guys have been good, especially Dario Franchitti’s. I’m looking forward to yours! Anyway … have you ever gone out to first practice in a new car or on a new track and felt completely lost? What steps did you take to get it together? Hey Jerry. For sure, we all have experienced that! Some tracks are really difficult because they don’t have a lot of reference points for where to brake, when to turn in, where the apex is, etc. Depending on the track’s designer, the corners can all be blind like at Barber Motorsports Park, or very flat with grass and basic colored curbing like the Indy road course. Those are hard because they look the same. We always have those moments when we think, “Now where do I go? !’ but generally, as professionals, we figure it out after a lap or two! How much did you learn from your dad about dealing with the media? Lots. Spending time around him as a kid was a huge perk. Media is a massive part of our job and you have to learn how to handle it all correctly, although I am still learning as you can imagine! Hey James. I feel as a professional driver you always have to be in the zone to get the best out of your car and team. For me it’s a place and time where I can put everything else in life aside and feel comfortable and confident in the car I am going to be driving and the team I have behind me. I am different than most: Lots of guys will relax and lie down by themselves to get their heads clear before a race. Me, personally, I like to be active with friends and family, and have fun before a race. It allows me to just clear my head and not think about much else other than being relaxed and ready to rock. Everyone is different; my ways may not work for others. How involved in the nuts and bolts – the design, engineering, set up – details were you in the beginning, and how deep are you now? Has your hands-on changed? And do you enjoy that side of things? We drivers are always very involved! We are the best “sensors” that an engineer has! On the team front and operation I am not involved, though. My dad and I look at it like I should be a driver and focus on that, leaving everything else to him until I am ready to step out of the driver’s seat. 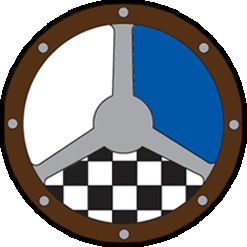 Graham, what advice would you give a club racer regarding the transition into “Pro” series races from a lower group like SCCA or NASA? Take it slow and be patient. Pros are all good; there really are no “bad” guys anymore. So be patient, take your time coming up the ladder, and stay committed to what you’re doing. You will have good days, bad days, and great days. You need to be level headed and ready for anything! Graham, why on longer straights do IndyCar/F1 drivers not hug the white line at the side of track the whole length of the straight? For example, when they exit a right turn on the left side of the track and then have a straight leading into another right turn, they tend to drift toward the center of the track just to turn back toward the same edge of the track to set up for the next turn…. I actually don’t have a good answer for you. I think it’s because you want to take a relaxed line and not be right on the edge. Then again, we are always on the edge. Great question, but I guess you do it subconsciously and not really on purpose. When your dad was your age, he was racing F3 in Europe and it seemed like F1 was his goal. Was F1 ever one of your goals – or is it now? It was once, but now I just love IndyCar racing. I love F1, but in recent years I have lost interest. IndyCar racing, to me, is the best and most competitive form of motorsport in the world, and I feel lucky to be a part of it. I forget where I heard it, but you said somewhere your 2007 Champ Car was your favorite race car. What was special about it – just that it was your first one? Thanks for sharing, Graham! It was probably the ’07 Panoz DP01 car or the Lola that came before it. Why? Really because it was a great car in all aspects. It had great downforce, great grip and the engines were awesome – lots of horsepower and they sounded phenomenal. I loved driving those Champ Cars, but equally love what I drive now. Graham, obviously one of the issues about switching from karts to cars is finding sponsorship. As you deal with big sponsors often, what are the keys to securing a sponsorship? Where would you or your team look for sponsors? Sponsorship is all about giving whatever the company may be the biggest return on its investment. Keeping that in mind, think “business-to-business” – how can you link a couple of companies together that need to or can do business together and then you benefit from it? Look at it as a business relationship where multiple companies have marketing budgets but with you they can do it together and cheaper. I think securing sponsorship is always about finding something special that sets you apart from others. Drivers often overlook what makes them special to a company. At the end of the day, the companies are sponsoring you, not just the race car you drive! Did you get a choice growing up, or was it always assumed you’d be a racer? If you weren’t racing now, what do you think you’d be doing? Thank you. I got the choice. I was never pushed into racing and feel very lucky that was the case. If not racing, I would probably be working for our dealerships and selling cars. I love cars; they are possibly my biggest passion in life! What’s the best piece of advice you ever got about racing from your dad? Or from your granddad? Thanks, Graham! “Enjoy it!” I was lucky never to be pushed into racing. A lot of people believe racing was the obvious fit for me and something I would always do, but I was always told that I needed to love what I do or don’t do it. I am fortunate that I absolutely love racing! Graham, your dad was one of my heroes when I started racing. Who (besides him!) were some of yours? And why? I always looked up to guys like Kenny Brack, Jimmy Vasser, Dario Franchitti – people who had a great level of success but remained good guys on and off the track. One of the guys I look up to the most these days is Scott Dixon. He, in my opinion, is the best driver out here, but he always remains one of the nicest. Some people struggle balancing success with kindness; those guys always had it figured out. In one of your videos, you said you really lacked confidence last year. What did you do to try to shake that last winter? You have to be strong enough to put it behind you. That’s exactly what I did. I spent a lot of time away from the track trying to clear my head. You also need to surround yourself with people who believe in you and want to help you be better. I am fortunate to have people that do exactly that and that made my life a lot easier. Hey Graham. You won in IndyCars at St Pete and you finished second in Houston one time and once here in Long Beach. Are street courses your favorite? Why so much? Thank you! I love street courses because they are a challenge. It’s an even playing field, generally, because there is no testing. We show up once a year, do our best and see where we stack up. I think short ovals are some of my favorites, though—a very cool and tough challenge. I love IndyCar because we compete on all types of circuits. Hi Graham: What do you think is your most important “strength” as a driver? And how do I get it, too? My best – and any driver’s best – strength is being able to be quick but consistent and make as few mistakes as possible. I think for anyone that is key, and I feel like for me, my racecraft has been my biggest strength. You get it by learning where the limit is at all times and then taking it back just a notch. You find a level that you can push to 100 percent of the time and feel confident that you won’t make mistakes or cause damage to your car or others. I would say karting is a great way to learn the craft. Once you make the major purchase of the kart and spares, it’s not too expensive to maintain and run. Some simulators are good ways to learn the tracks and things like that, but I think karting is the best way to stay active. I don’t think any age is too late. However, getting to IndyCar by your late 20s should be anyone’s goal. I would say at 19 you are still young enough for sure. Remember to always pursue your goals and dream. Anything is possible. Hello Graham. Would you consider driving for the new Haas Formula team in F1, or are you happy to stay in IndyCars for now? Right now I am very happy where I am at. Would I consider it? Possibly, but the truth is I love IndyCar racing and being here in the United States. To race in F1, I would want to be with a team that has a chance of competing. I am sure a new team will struggle quite a bit. Graham, thanks for sharing your time! Growing up in the sport, racing karts and cars starting so early in life, what was the series or “experience set” that prepared you most for IndyCars? I think being in Formula Atlantic prepared me the most. I raced against some really good competition that year, and that has definitely helped me to get where I am today. However, the experience you gain every year in IndyCar really helps you the most for the competition we face.